Download "Sink or Float. Sandy Shores"
CORAL REEF ECOLOGY. Objectives Students will devise a testable hypothesis and an experimental procedure. Oil Spill Cleanup. Activity at a glance. Objectives. Materials. Background Information. GRADES 6-8 Time: 10 mins for prep; 1-2 hrs. 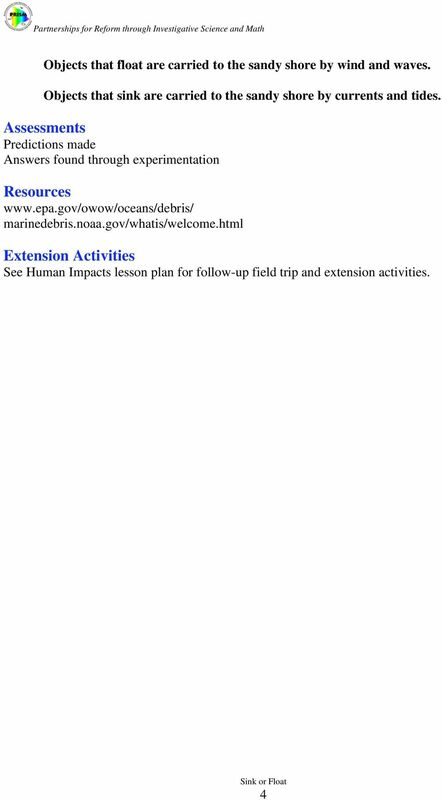 The Adopt-A-Beach Program is a statewide educational program coordinated by the California Coastal Commission. In San Diego County, this program is locally managed by I Love A Clean San Diego (ILACSD). CORAL REEF ECOLOGY. 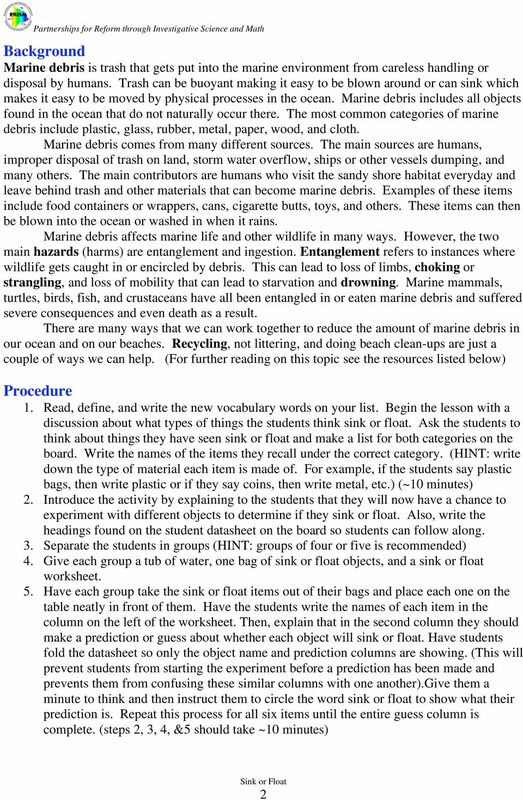 Objectives Students will learn that coral is an animal. Students will learn the differences between plant and animal cells. TeachingEnglish Lesson plans. Climate change. 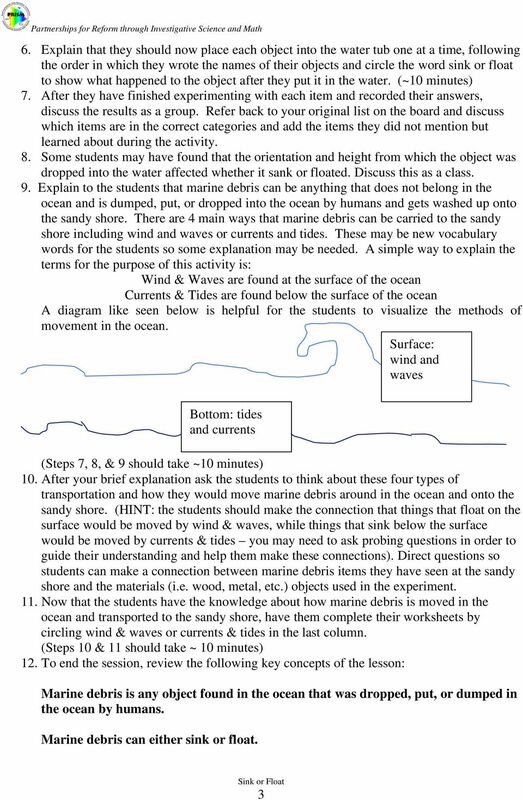 Worksheet A - Climate change the evidence Match the questions to the answers about climate change. NYSDEC Environmental Education Where is Away? For Students in Grades 5 through 8 A 45- minute program designed to introduce the basics of where garbage goes, and how reduction of the waste stream is beneficial. To meet the expectations of this unit, students should already know how the appearance of some organisms change over time. Rock n Roll, Down We Go! 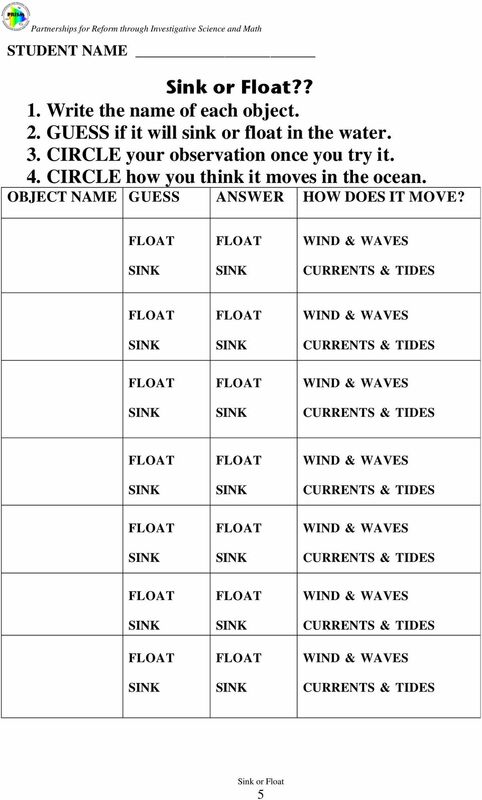 Author Patty Sepp Grade Level 1 Duration 1-2 class periods National Geography Standards Physical Systems #7: The Physical Processes that Shape the Patterns of Earth s Surface. PLASTIC BAGS: What are they and do we need them? PLASTIC BAGS: What are they and do we need them? 1 Plastic Bags When you buy something at the store, do you get a bag for your items? Does the clerk ask if you want a bag? Do you hear, paper or plastic? 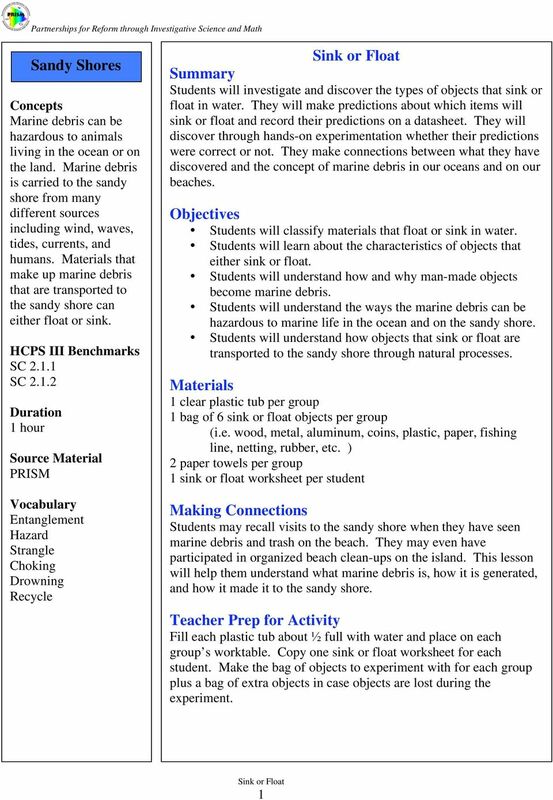 4-H Marine Biology and Oceanography Proficiency Program A Member s Guide OVERVIEW The 4 H Marine Biology and Oceanography Proficiency program helps you learn what you need to know about your 4 H project.